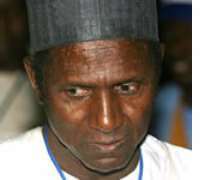 I am never surprised anytime the information is in the air that President Umaru Musa Yar'Adua is ill. The president has addressed the issue several times before he assumed office and since he became the president of Nigeria. The president once said in an interview that he is just like any human being who can fall sick and also die. However, I can't but shudder each time people call me on the phone asking if I have heard the latest about Yar'Adua or if there is any news about him. I always suppress my anger when answering such people. It is obvious from the tone of such enquiry that the person on the other end was seeking to know if something fatal had happened to Yar'Adua. It says so much about how our African values have been debased that people will be seeking information or circulating false rumours about whether the president is alive or not. In Africa, traditionally people do not talk or speculate about the death of the king. In traditional Africa, each citizen wakes up to pray for the king to live long. Among the Yoruba people, it is common to greet the king by saying: “Ki ade pe lori, ki bata pe lese. ”This is a wish that the king should live long. Among the Hausa, the greeting to the king, “Ranka ya dede” is a wish for the king to reign for long. Among the Bini, every citizen is expected to pray for longevity and sound health of the traditional ruler by saying: “Oba a to pei.” There are equivalent of these sayings in all African cultures. In Africa, even when a king is dead, out of respect for the throne, the people would wait until the rites of passage are performed and the official announcement is made before talking about the incident. Now, Nigerians behave as if they are uncultured or lack the sense of compassion. Many gleefully ask about the president's health and talk as if they wish him dead. They speculate about his death as if they are talking about something as normal as the change of uniform for secondary school students. There are others who see in the president's ill-health an opportunity to play politics. However, those who speculate about the state of health of the president and those who see in it an opportunity to score political points are only being naïve if not outright ignorant. They forget that the president is not only the embodiment of the nation, our constitution and the political arrangement have tied the fate of the nation to that of the president. The president of Nigeria is about the most powerful and most influential in directing the affairs of his nation. That is why the president can travel on health grounds and the deputy, who in any case enjoys only as much power as the president wants him to, cannot take charge. The problem therefore is that the fact that Vice President Goodluck Jonathan cannot take over since about three weeks when President Yar'Adua left for Saudi Arabia is an obvious indication that certain state affairs which only the president can give approval to will be suffering. Also, issues on which ministers would want the president to give them direction are probably put in abeyance for now. In the international community, the country is being seen as one without leadership since the hospitalisation of the president. This impression was given fillip when the presidency issued a disclaimer on a news report on BBC network service to the effect that Vice President Yar'Adua has assumed the functions of the president pending the time the president would resume. The disclaimer was aimed at setting the records straight so as not to give the possibility of a wrong spin on earlier statement made by the presidential spokesman. However, it ended up giving the impression that nobody is in charge. Again at home, the rumours and speculations about the president's health are signs of the helplessness of the citizenry. There is already the pervasive feeling of vacuum in the polity because the president is out of town and the vice president is not in charge. It is for this reason that the health of the president has now supplanted key national issues like power and other infrastructural needs, Niger Delta crisis, 2010 budget, the economy and others in the order of importance in public discourse. Many are already talking about the fact that the present situation has only created an opportunity for power mongers to seize the terrain and start foisting their agenda on the nation. At this point, I want to suggest that the president as a patriot, a statesman and a leader needs to act fast to stop the drift. In taking this action, the president should put the national interest above all other interests. He should ignore the power mongers who will want to stop him from doing that which is right. In my opinion that which is the right thing for him to do now is to take advantage of the provision of section 145 of the constitution. This section allows the president to transmit in writing to the Senate President and Speaker of the House of Representatives that he is going on vacation or that he is unable to discharge the functions of his office for some time. The consequence of this letter is that the vice president will be able to officially take over the functions of the president in acting capacity. The arrangement will however terminate as soon as the president transmits another written declaration to the contrary to the senate president and the speaker of the House of Representatives to the effect that he is ready to resume his duties. With this provision, the makers of our constitution had calculated rightly that the president is not a super human. He is a mortal being who may fall sick or may just need to take a rest so as to rejuvenate himself physiologically, intellectually and psychologically. The draftsmen of the constitution have made the process so simple for the president to go on vacation or take a leave for health reasons. He initiates the process and halts it when he feels there is no longer reason for it. The constitution does not give any role to the legislative houses or their leadership to initiate this particular process or refuse the attempt by the president to resume his work. Thus, any suggestion that the senate president or the speaker may frustrate the president's return to his duties is sheer mischief. The process begins with a presidential letter and ends with the same means. So, why would President Yar'Adua not just do the right thing by going on vacation now and allow us to have somebody we can, in the meantime, truly hold responsible for any problems in the country? This is an option a patriot will take and I know President Yar'Adua is a patriot who will not allow his indisposition to hold the nation to ransom. With this option the president can take time to go through his treatment and fully recuperate without the pressure on him to resume. He can take time off his duties without creating any feeling of vacuum in leadership. One more advice to the president: He should not allow anybody to push him into any unprofitable venture. He should make 2011 the terminal date of his public service career. He needs to retire from politics and create time to take care of himself and attend to family matters as the head of the expansive Musa Yar'Adua family. A situation like this where the president is ill and his illness is being made worse by the burden of office seems a perfect scenario for some political cliques to seize the occasion, foist their agenda on the country while using the president as a figure head. We have seen the evil that were perpetrated by such cliques under the military regime of General Sani Abacha who was ill most of the time he was in office. We do not want a repeat of that era. Government by proxy never yields any dividend for the people. It is usually a self-serving affair for the members of the clique.